We are heading into the coldest couple of weeks of the year here in Toronto. The snow hasn’t been terrible but it sure is COLD! This weather always has me craving hearty stick to your ribs stews and braises as my last few savory posts would suggest. See the Braised Pork Belly, Texas-style Chili and most recently these Smoky Ancho Chili Lamb Shanks. Of course all meant to be enjoyed over top a mound of piping hot starch and with copious amounts of red wine – at least that is the way it seems to go down in my household. To strike a balance, at least for the sake of my waistline, I do what I can to keep a light lunch (when I can that is). This purée doesn’t just have to be cauliflower. Choose a vegetable you love or whatever is in season. Then just add a fresh or dried herb or spice that pairs well. I’ve made this soup with broccoli and some sharp cheddar, zucchini with fresh basil, carrots and ginger and sweet potato and a cinnamon stick! Use this soup and method as a base for other flavor combinations including spicy curry pastes, smoky harissa or creamy coconut milk. 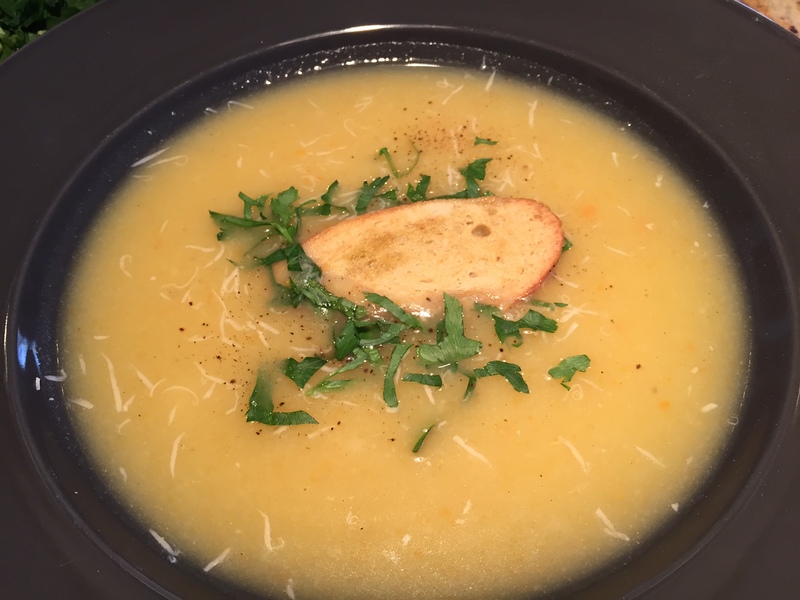 The potato in the soup creates a nice creaminess but you can always add a touch of cream at the end, a little goes a long way. 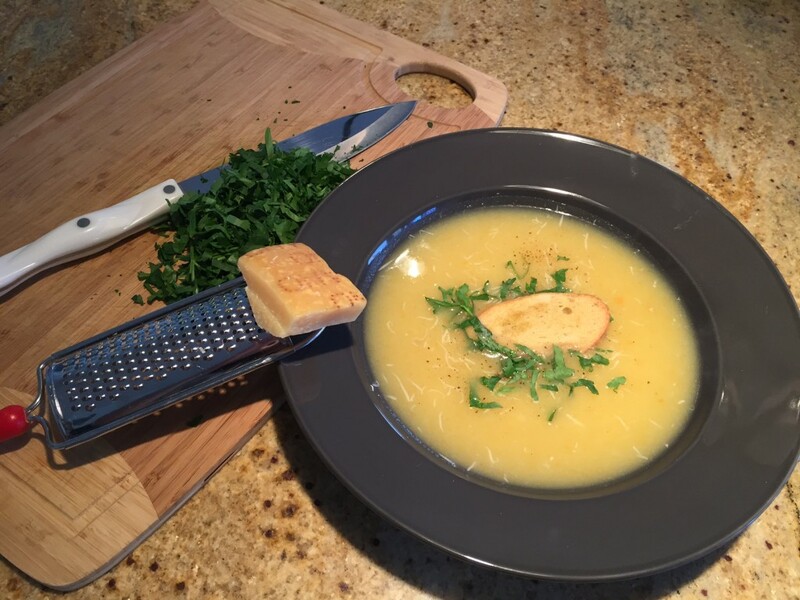 I served this soup with a couple grates of Parmesan cheese to amp up the flavor, some freshly chopped parsley and a thin olive oil crouton (see note). In a large pot, heat the olive oil over medium heat. Add the onions, garlic, oregano and bay leaf. Cook stirring for 5-7 minutes until the onions take on a little bit of color. 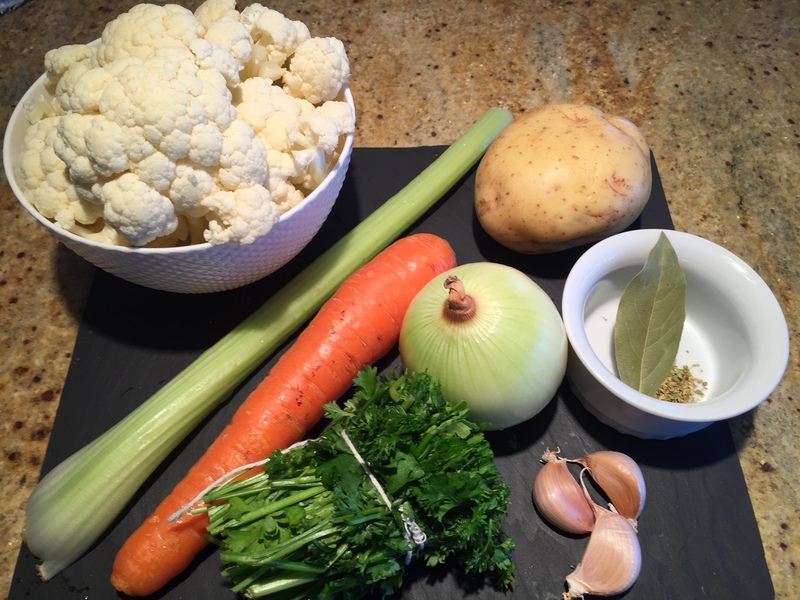 Add the parsley bundle, carrots, celery and cauliflower and cook until warmed through. 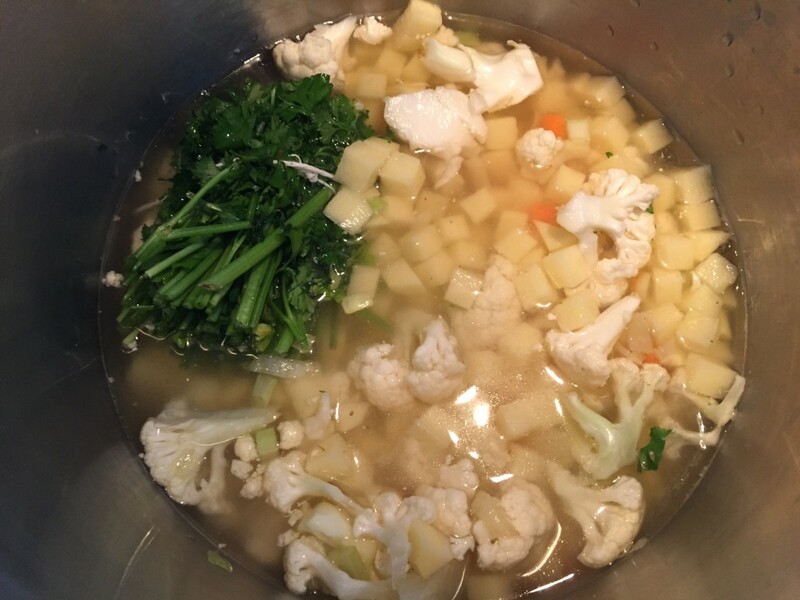 Add the potato and enough stock or water to cover the vegetables. Bring to a gentle simmer. 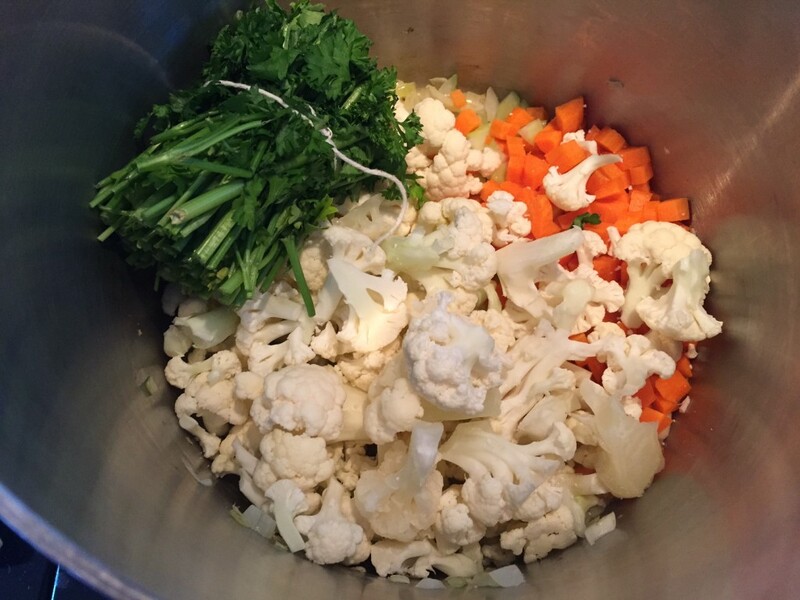 Reduce heat to low, cover the pot and simmer for 30-40 minutes until vegetables are very tender. Skim any foam or skum that accumulates on the surface of the broth. Fish out the parsley bundle and bay leaf. 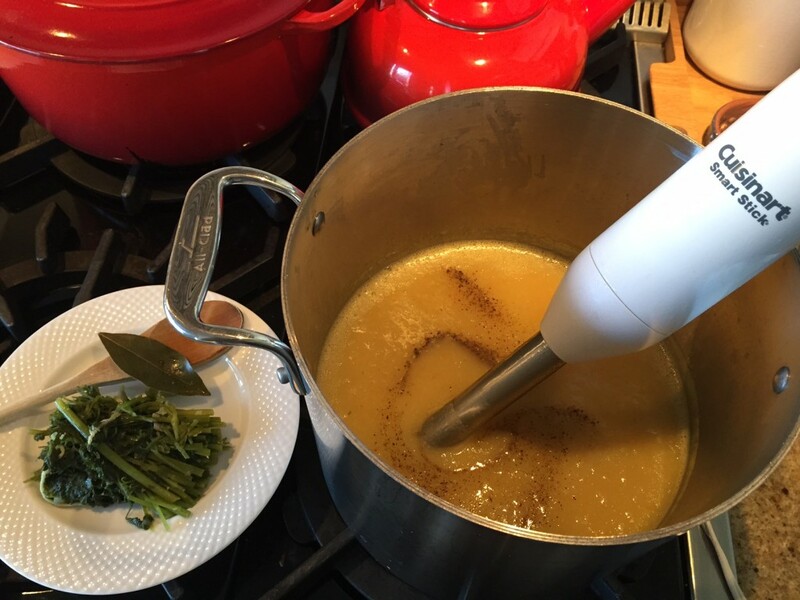 Using a handheld blender, purée the soup. 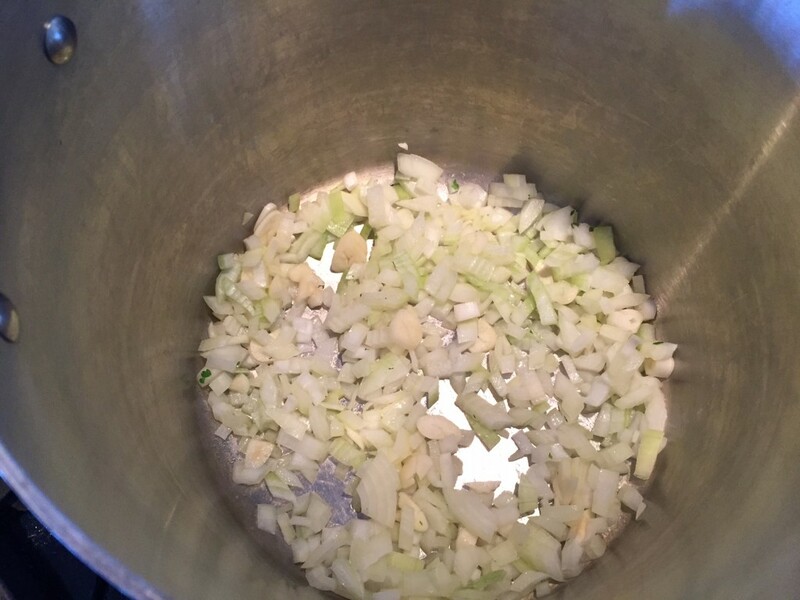 Add more stock/water to thin if necessary and adjust seasoning. Enjoy! Makes 4-6 servings. I love adding a sprinkling of fresh parsley or cilantro to just about everything savory. 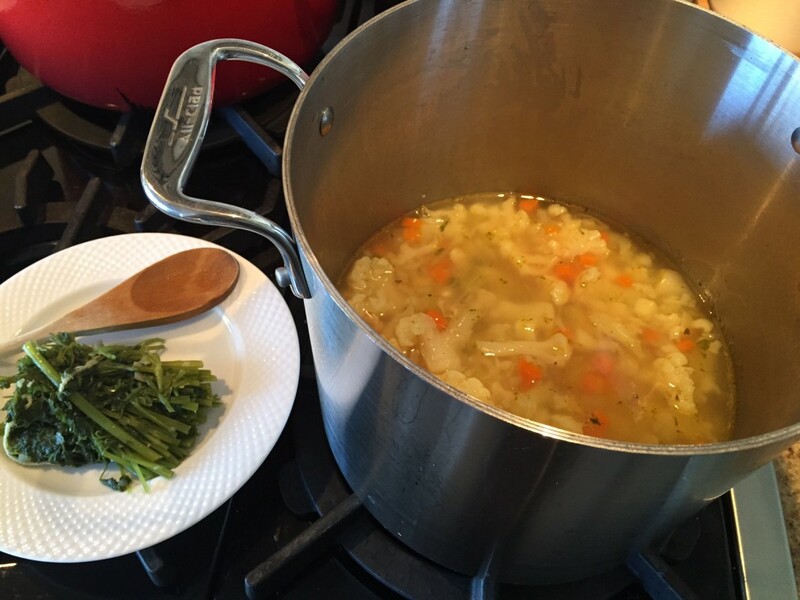 I used to discard all the stalks but eventually learned that they had great flavor potential. After using up the leaves, I would wash, dry and tie up the stalks into bundles using butcher’s string and freeze them in a single layer before putting them in a zip lock. It’s a great way not to waste but more importantly a wonderful way to make your food taste better!!! 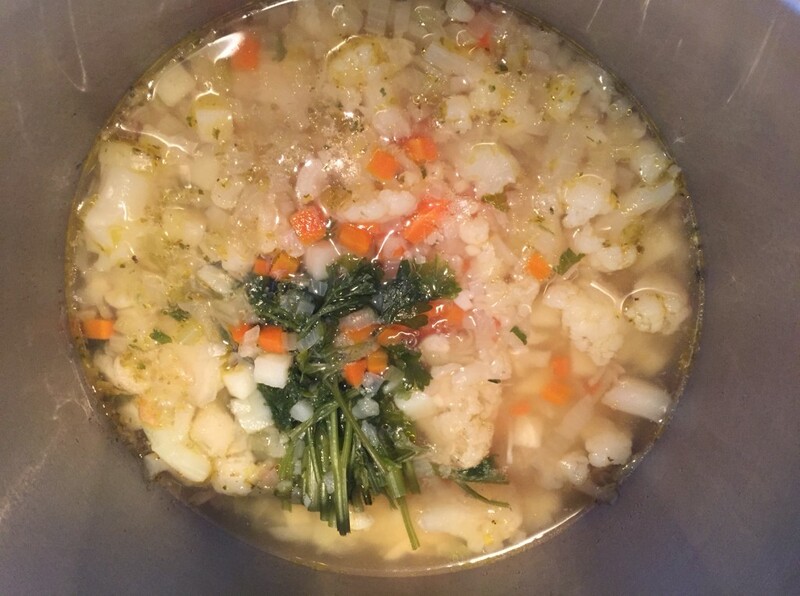 When if find myself making a soup, stew or sauce, I could grab a bundle from the freezer and drop it into the pot. I never seek out to make olive oil croutons. They are really a result of yummy baguette or bread gone stale. 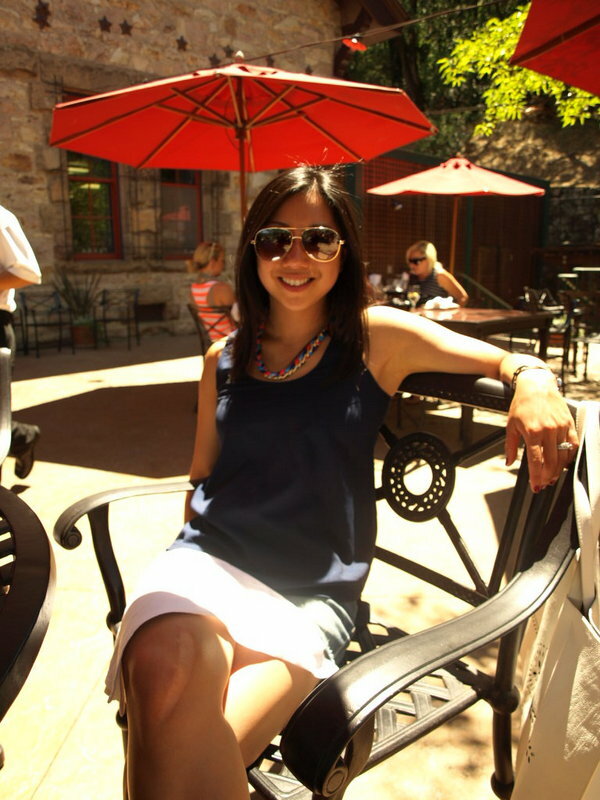 Slice your stale bread thinly, about 1/4 of an inch thick. Brush both sides with olive oil and bake at 325°F for 15 minutes until they are completely dry. These are wonderful with soup or equally tasty in place of crackers on a cheese platter. If you are feeling fancy, rub each side of the bread with a cut piece of garlic or sprinkle on some grated Parmesan. 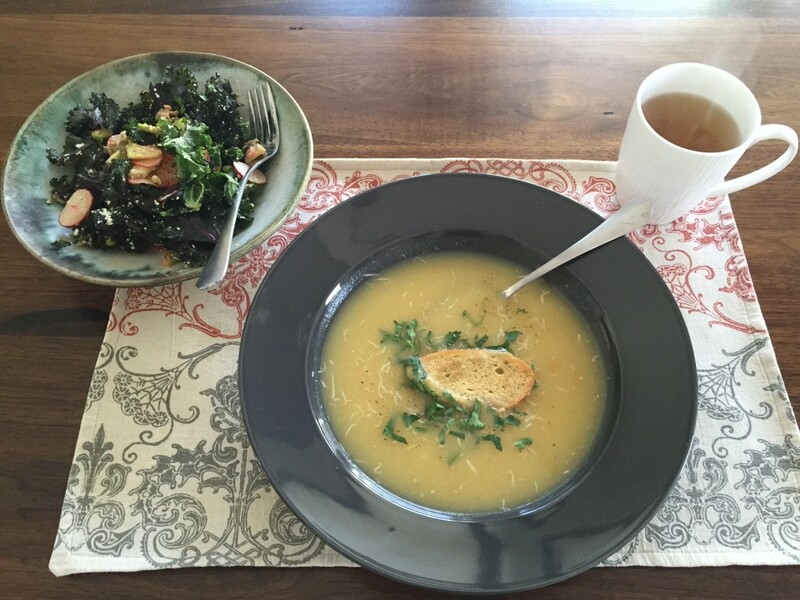 This sounds like the perfect soup to boil up in the Vitamix! Yes, the Vitamix! I still don’t have one. Hope that you are getting some good use out of it!!! Going to try this out in the vitamix tomorrow. Something feels strange about cooking a soup in a blender. Where do we get those layers of flavours ? I know, weird right? I don’t have a vitamix but my old blender use to splatter when I used it to blend up soups and stuff. Just be careful with the hot liquid!